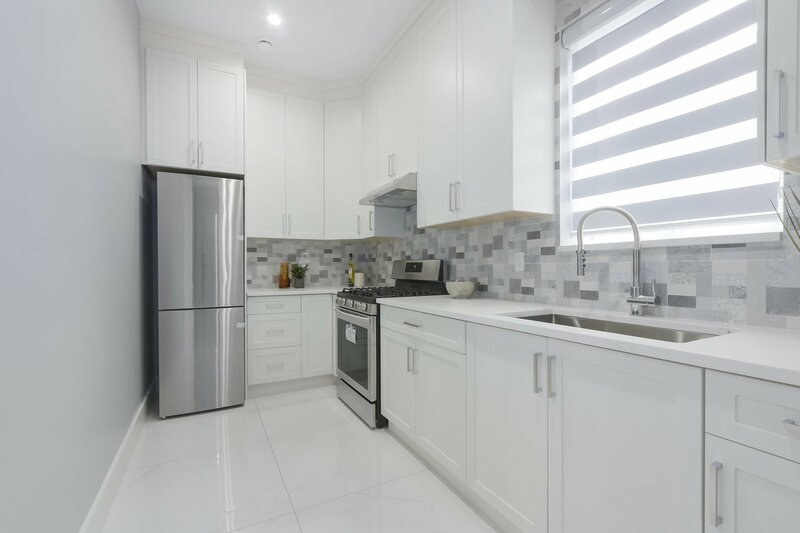 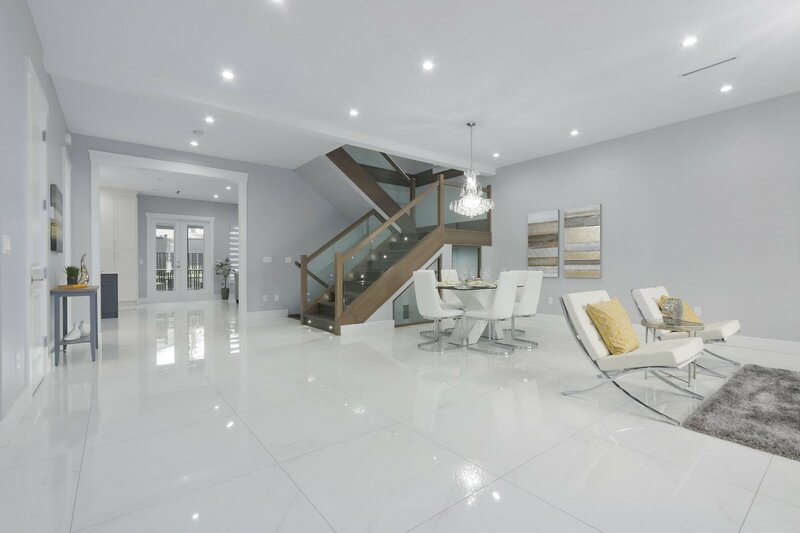 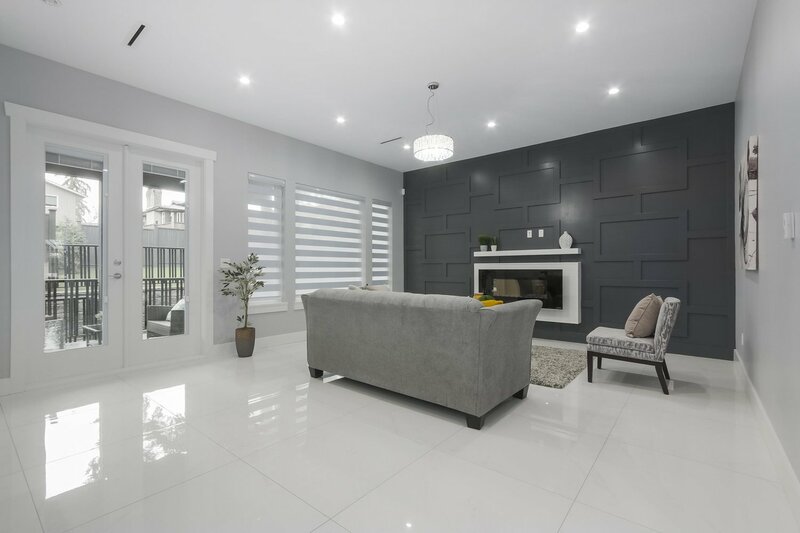 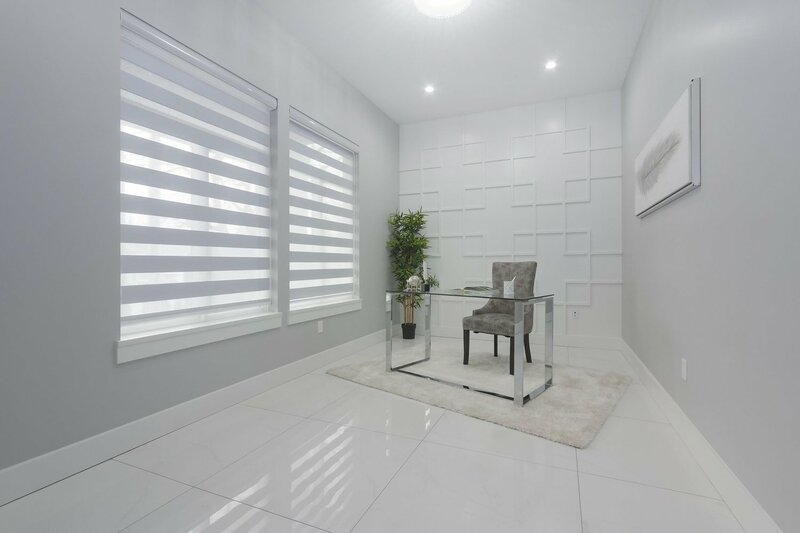 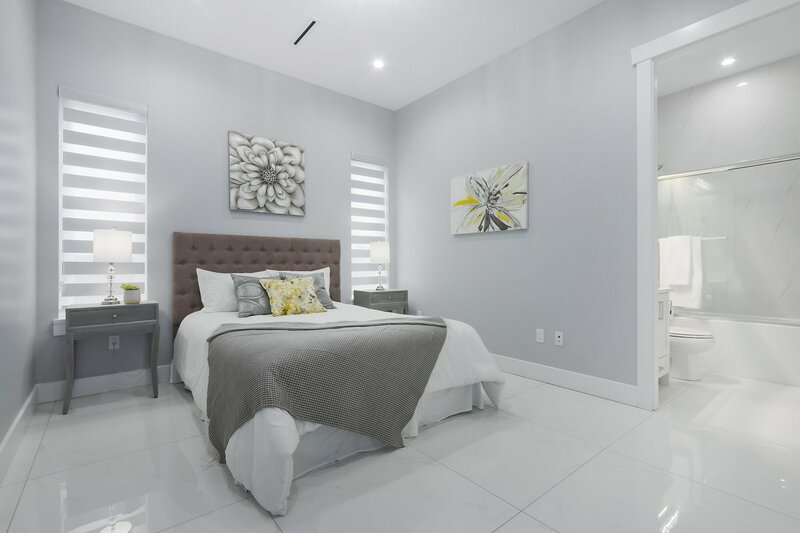 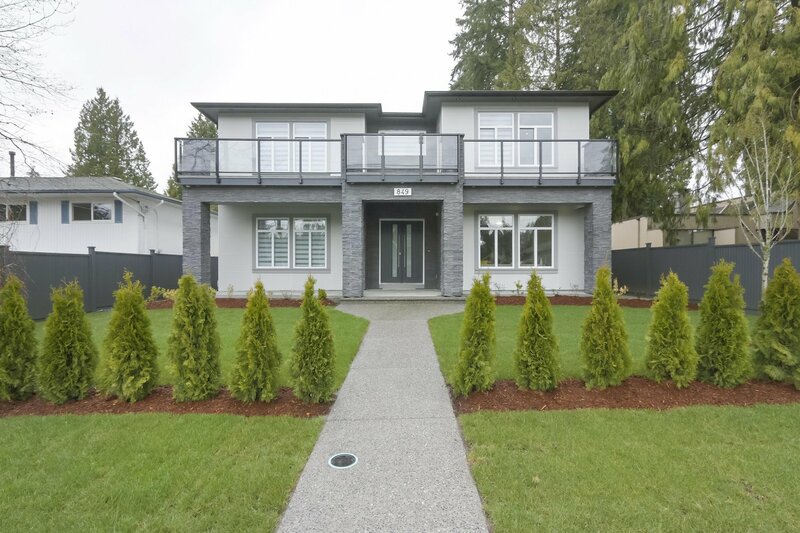 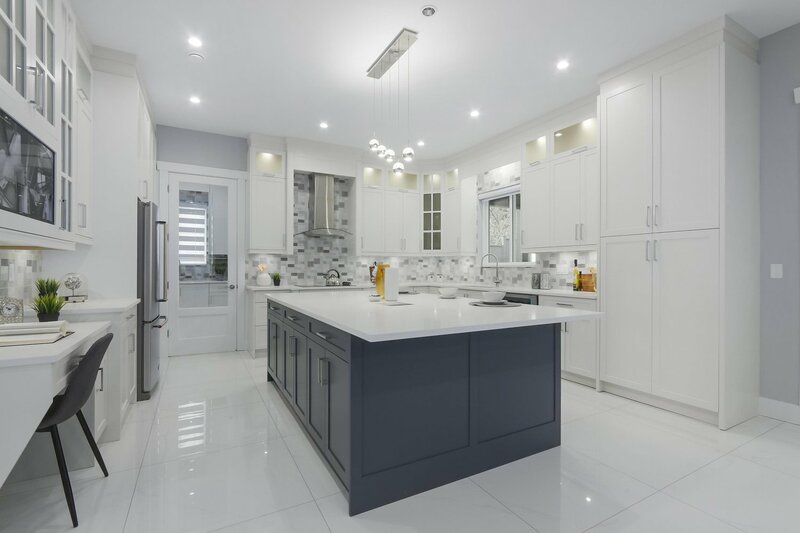 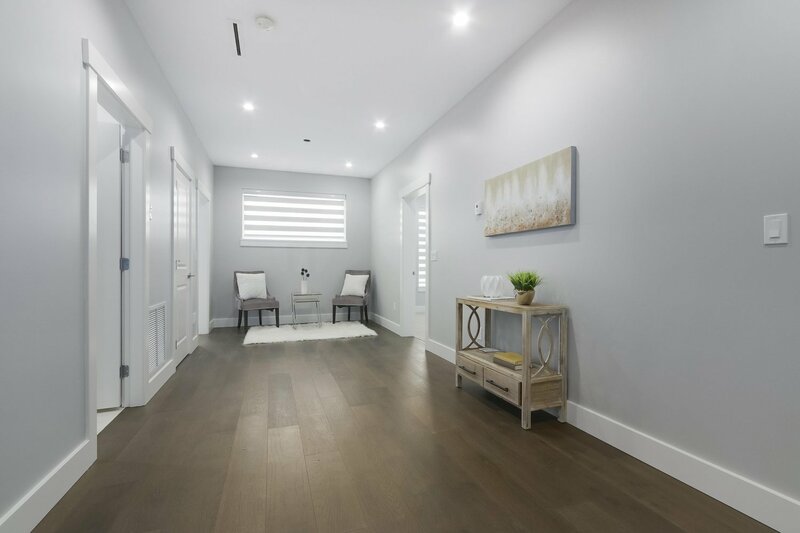 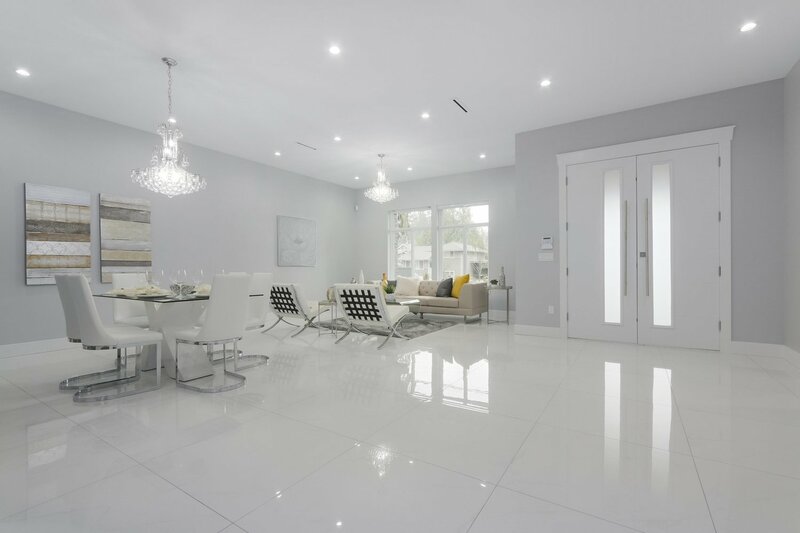 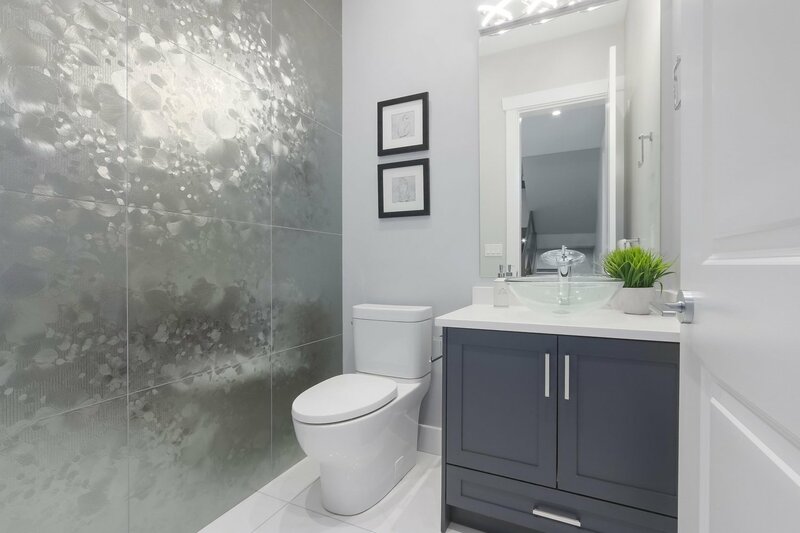 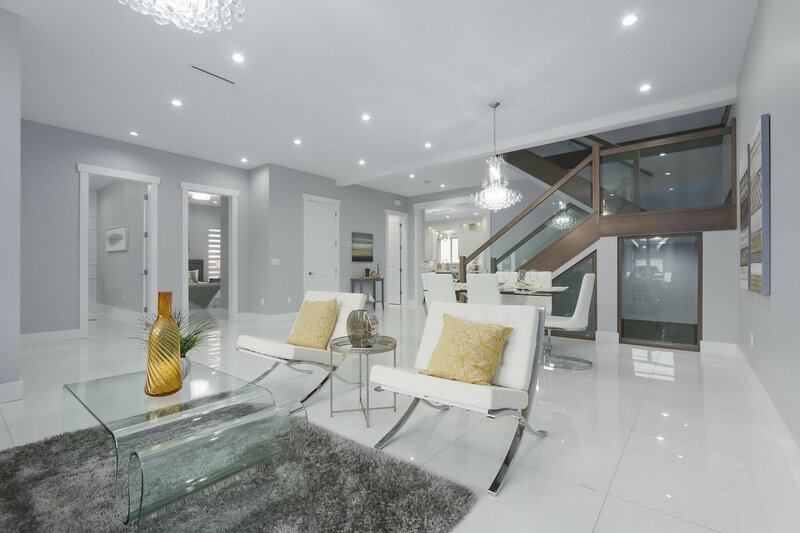 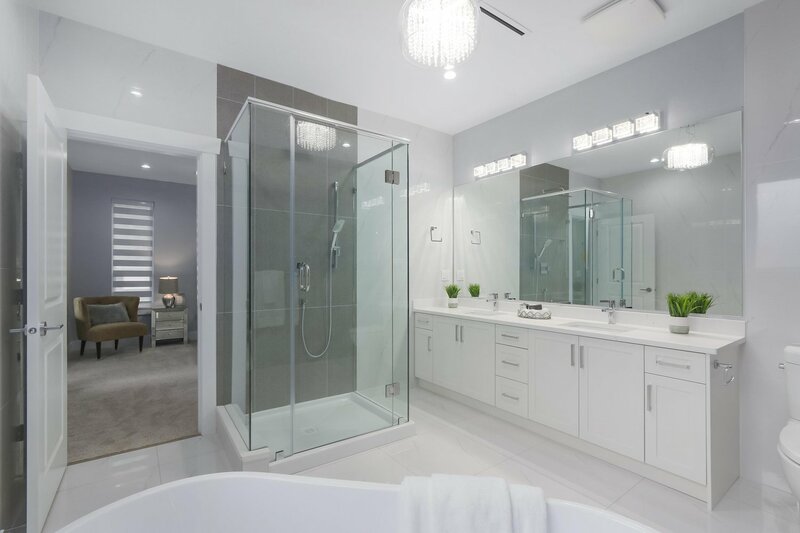 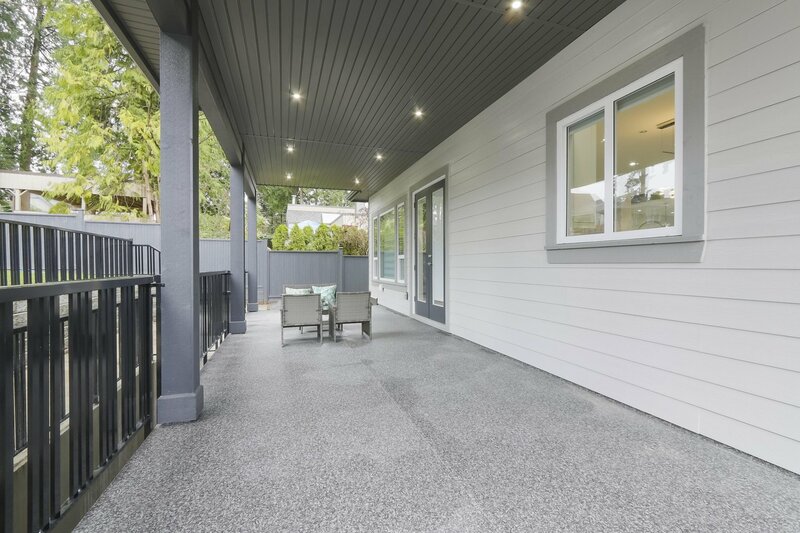 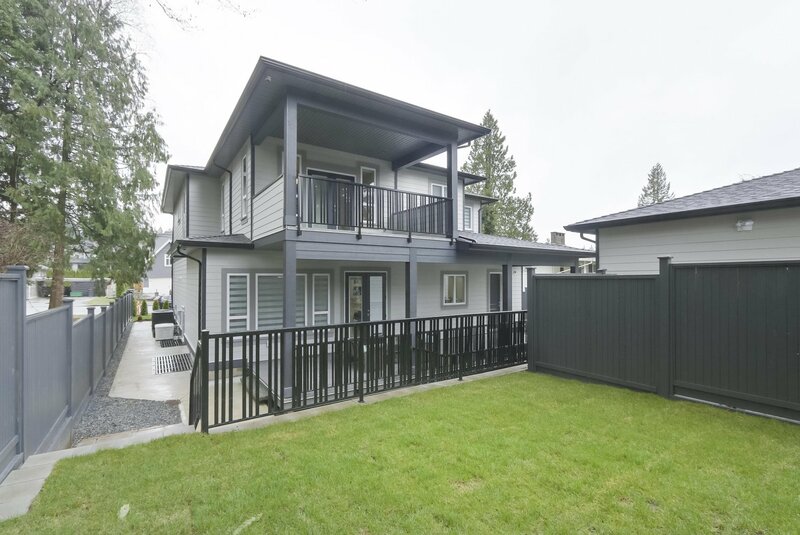 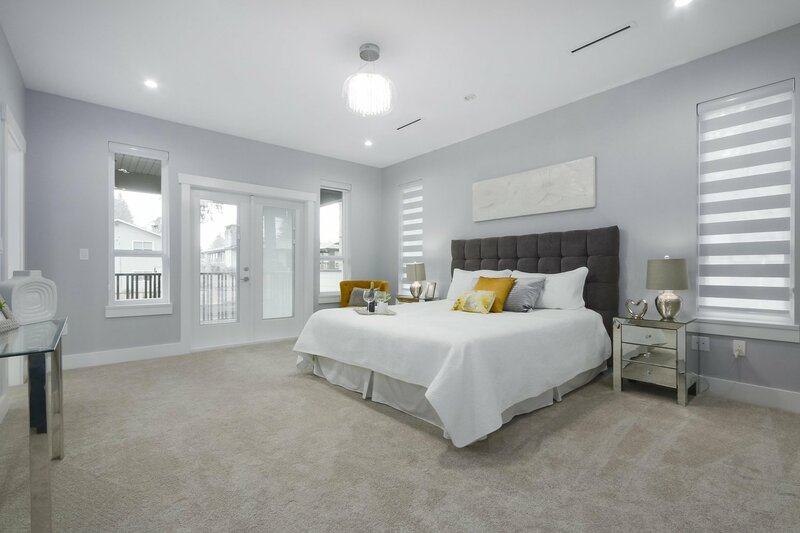 This Brand new/Modern style/Spacious 5734 sqfts home locates at the highly desired West Coquitlam.2 Storey w/Basmt and 9'/10'/9' high ceiling with total 7 bdrms/1den and 7-1/2 baths. 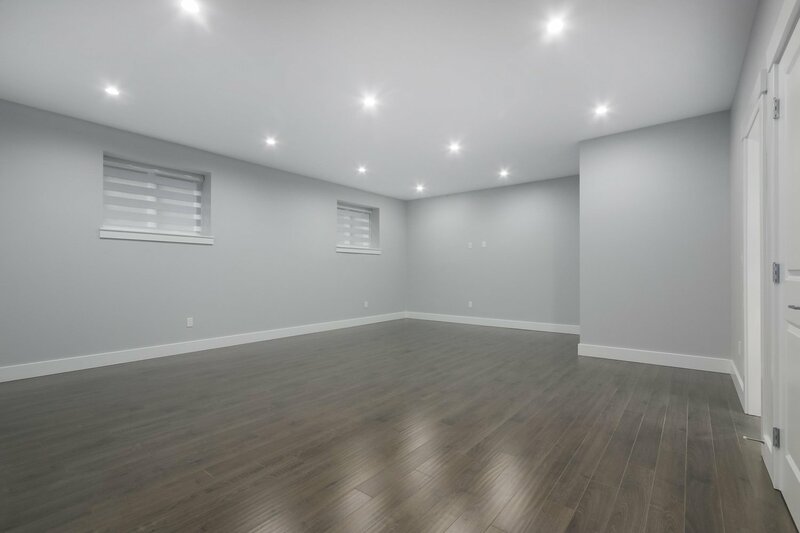 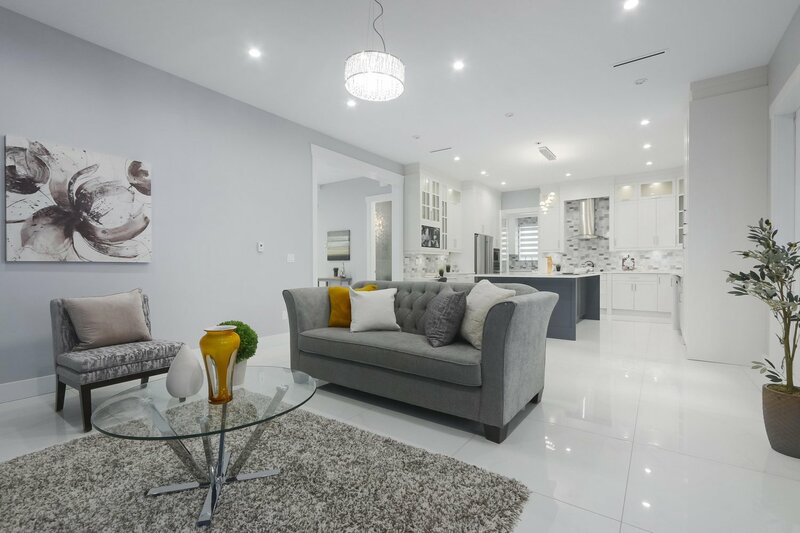 Function floor plan on the main floor features with south facing/bright living, dinning room,1bdrm suite, den, powder room, two gourmet kitchens (wok/western) connected to a huge patio;4 spacious bedrooms and all are full ensuite (masbrm with a deck) on upstairs. 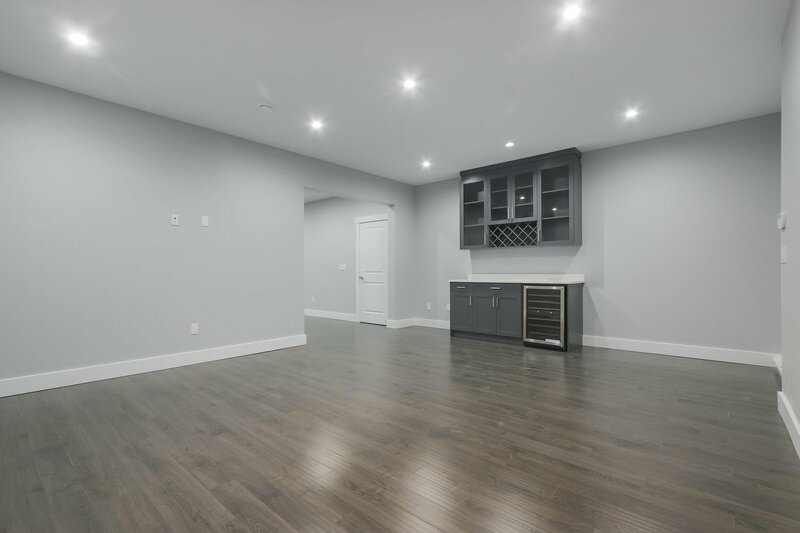 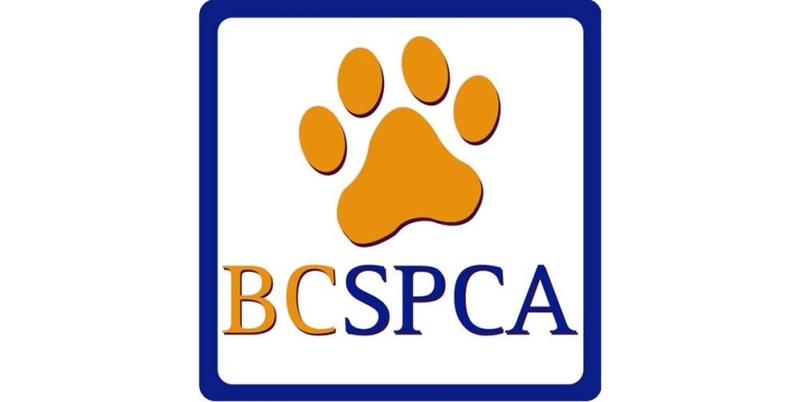 Basement has 2 bedroom legal suite with separate laundry; Rec room & home theater room with separate entrance & full bath, can be easily converted to another 2 bdms suite. 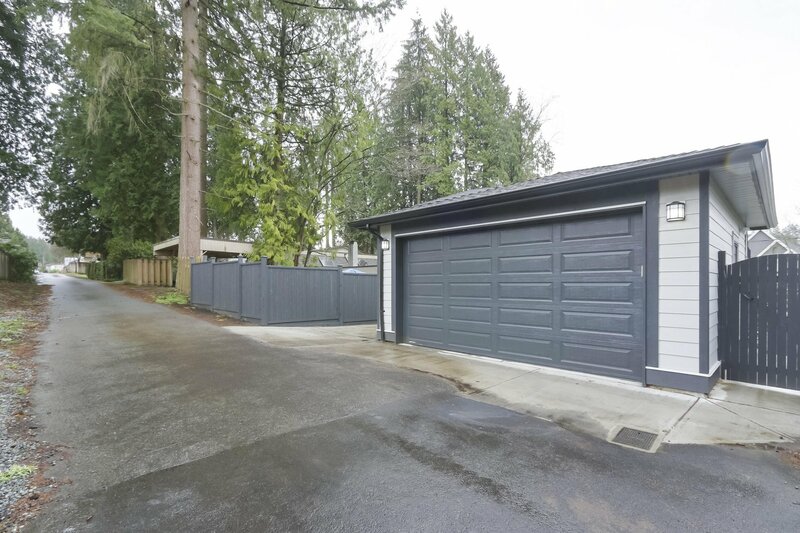 Back Lane with Double garage. 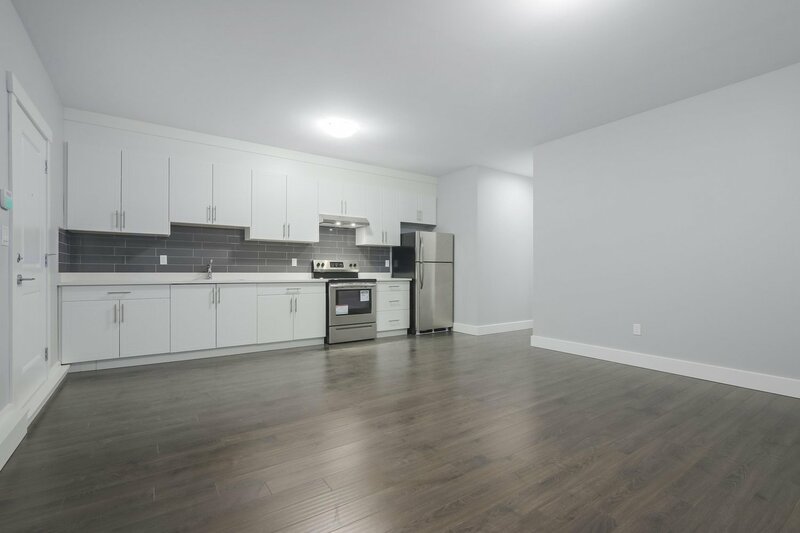 Radiant heat with HRV and A/C, security system, central vacuum.Near SFU, walking distance to Sky Train, Schools, community and all amenities.